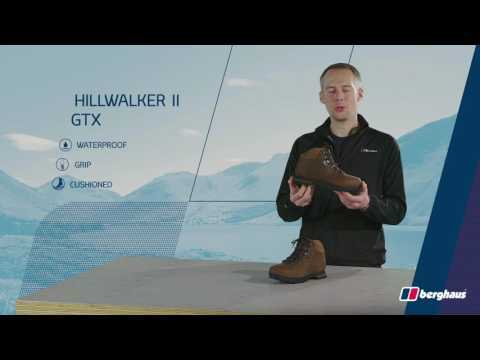 This boot brings you the features you’ll need to take on all the weather and landscapes the UK can throw at you. Its strong, streamlined construction brings together a surprisingly soft oiled suede shell with a GORE-TEX® lining for durability with dependable waterproofing and breathability, and memory foam at the heel and tongue for outstanding, custom-fitting comfort. The OrthoLite® footbeds give a great, cushioned fit, while our patented OPTI-STUD® outsole construction gives exceptional grip on uneven terrain. BREATHABLE PROTECTION Thanks to a breathable GORE-TEX® performance comfort membrane, even the wettest weather can’t touch your feet, while sweat makes a clean getaway. STRONG AND DURABLE You’ll power through every kind of landscape thanks to a lightweight but durable construction loaded with comfort and performance features. SURE-FOOTED Our patented OPTI-STUD® outer sole design gives outstanding grip even on wet rocks and shrugs off sticky mud.